I hardly turned on the TV and radio these days. But yesterday was a perfect timing for me. My rocker-blood was once again awakened after a long hibernation. 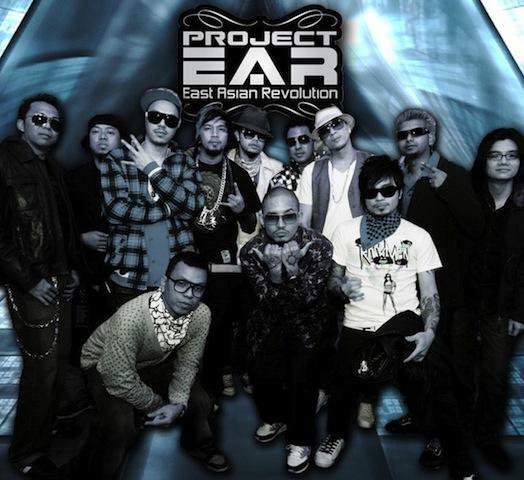 It's all because of this supergroup, collaboration of best artist or acts from within South East Asia, Project E.A.R. What I like about this collaboration or shall I say, teamup, is because they're more than just a supergroup, they're a movement. They exist because of a common goal. Project EAR music all contains connotations of engaging political stance, senseful dynamism, and effective play of thoughts that promotes global unity of hearts through peace, respect and brotherhood despite of several differences. Project EAR is considered to be the voice of a new era in global music. It is the ties that bind together musicians from a continent divided by cultural,political and language barriers. Bound together through friendship and the common goal of breaking asian music onto the global stage, members from Pop Shuvit (Malaysia) together with Ahli Fiqir (Singapore), Slapshock (Philippines), Saint Loco (Indonesia), Silksounds and Thaitanium (Thailand), with M.E.M (Thailand) conceptualized and established Project E.A.R as a platform to achieve this goal. Highlands on August 2, 2008 in Kuala Lumpur, Malaysia. Project E.A.R. 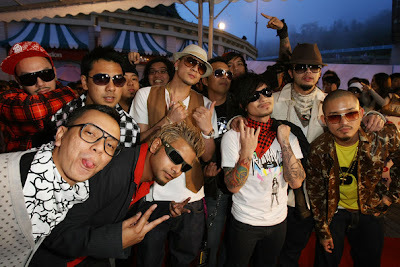 (East Asian Revolution), made their debut in the 2008 MTV Asia Awards in Malaysia. They've been around since 2008, but during those times I really haven't heard of they're awesome acts. To consider Project E.A.R a Supergroup is an understatement. It is indeed a first of its kind Supergroup consisting of some of the best acts from the South East Asian region. Together, they garnered countless awards, chart-toppers and hundreds of screaming fans throughout the region. Hardly a wet ear in sight, MTV Asia snagged courtside seats for a tête-à-tête with buddies Moots (Pop Shuvit), Way (Thaitanium), Joe (Saint Loco), Jamir (Slapshock) and Dandy (Silksounds) and find out how music, Ramlee Burgers and getting tongues wagging makes their world go around... Check out the following hit by Project EAR, Marabahaya. That's y wer glorious, that's y dey calling us E.A.R. naw raku kalat su lu moku ni R.I.P. we got dem right E.A.R. hnd nag alinlangan, lumaban ako sa hirap!! titigan mo ang aking galit sa aking mga mata!